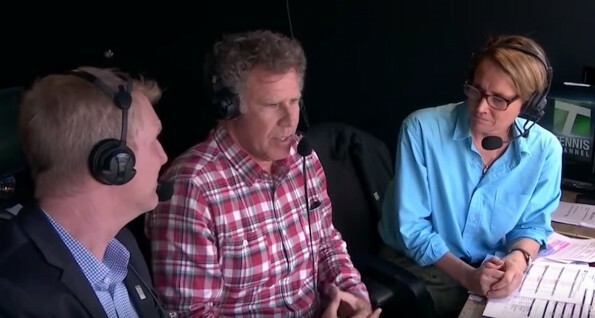 Back n January, Will Ferrell brought his humor to the tennis world when he made an appearance at the Australian Open and conducted a on-court interview with Roger Federer. On Wednesday, he was back. This time it was the Indian Wells, where Ferrell stepped into the Tennis Channel commentator’s booth to provide some commentary for a fourth round match between Federer and Ferrell’s favorite player, Jeremy Chardy. The result was 18 minutes of hilarity. Enjoy!